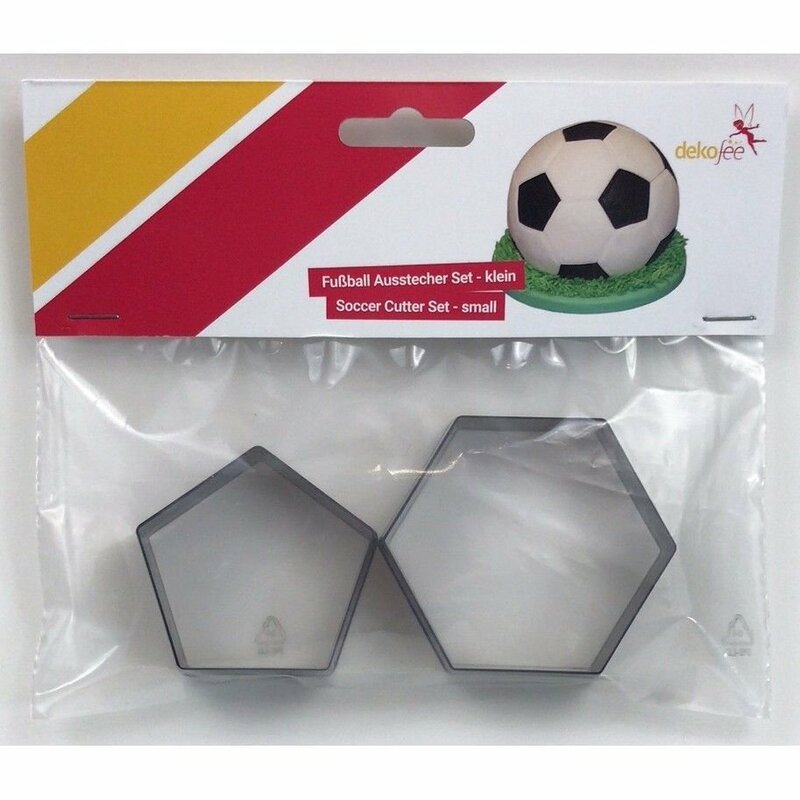 With this cutter set you can easily decorate your soccer cake with fondant! This set includes 2 cutters with 5 or 6 sides and is suitable for decorating a half round ball pan of 20cm. Size: approx. 7cm & 8,8cm.